Today marks the beginning of Autumn in the UK, but it surely feels like it’s winter already. The weather is hella cold here and it doesn’t help that it rains almost every day. This is the kind of weather that has ‘Depression’ written all over it. Ha!! Like every season, I get rid of some old pieces in my closet and replace with new budget-friendly pieces that catches my eye. All my Fall/Winter essentials are ready and still filling. I was glad when Rosegal reached out to shine a light on their blazers HERE, because they’re not only wardrobe essentials. 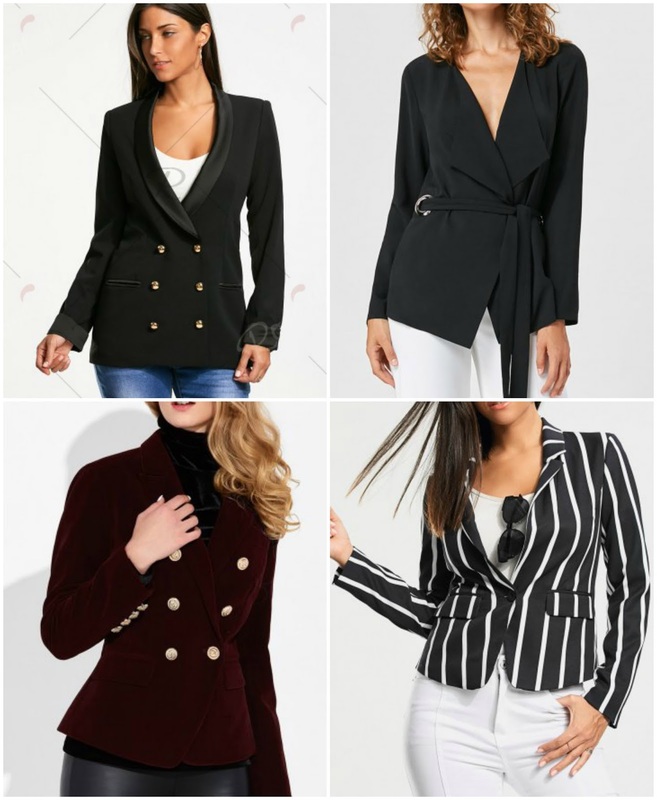 – They’re Fall/Winter perfect! I am not going to bore you and preach about how to style blazers, because I know you’re aware of how to style em. Having said that, if you haven’t joined the blazer wagon, look no further. Visit this brand for versatility. No matter the style you’re after, I’m sure you’ll find something cool/chic and at a good price too. I can’t stress enough about the quality of their clothes. -Definitely not Versace quality, but for the prices of their pieces, I can’t fault them. So kick start the cold season with some Autumn budget-friendly pieces from Rosegal. Oh their summer sales is still ongoing. In addition to 33% off, use code RGEN to get extra 10% off your purchase. On another note, how cheesy is the title of this post.? Are you ready for Autumn/Winter? What can’t you live without in these seasons (fashion-wise)?